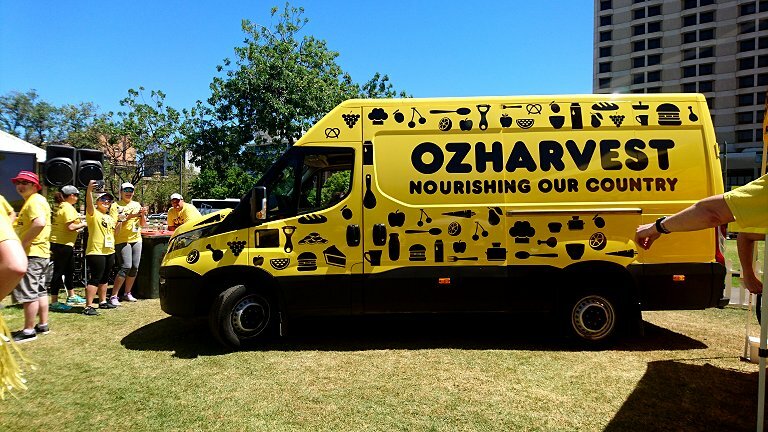 The OzHarvest Great Food Rescue Race was held on November 5, 2016, and we could not feel more proud to be a part of it! 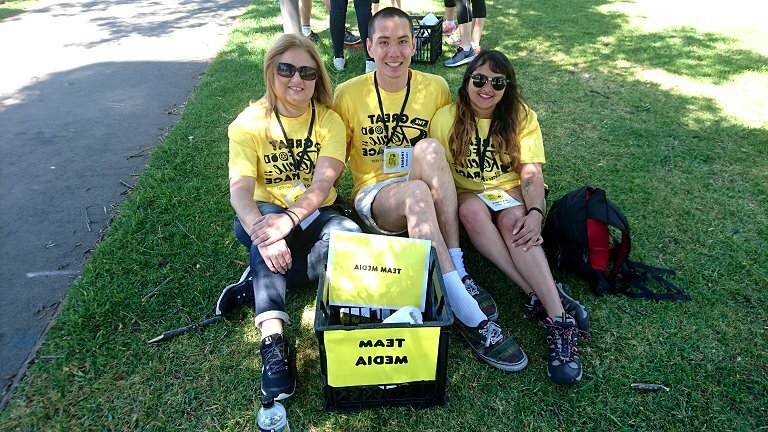 Aimed at people from all backgrounds, races, ages, and genders, and gaining inspiration from the TV show The Amazing Race, the race brought up the heat by incorporating a food rescue-themed foot race that spans across the Adelaide CBD. 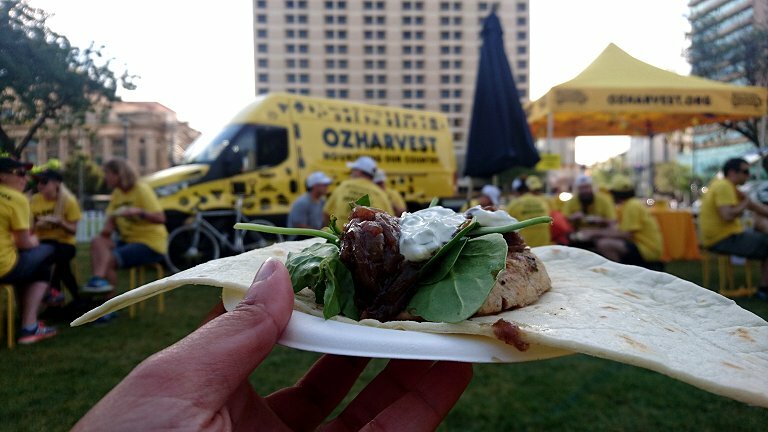 Whether you decide to go for speed or strategy, all participants and teams are encouraged to have fun while completing challenges that allow them to celebrate our colorful food culture and simultaneously raise funds for OzHarvest SA to be able to provide delicious local-produce to people in our community who are in need of it. Running from 2pm – 6pm, we started off and finished our race at Tarntanyangga/Victoria Square, where a sea of participants dressed in yellow shirts were seen having a ball and getting pumped for an adrenalin-filled activity with an excellent cause of raising funds for feeding those who can’t feed themselves on a regular basis. Representing Team Media, myself – Tema (Adelaide Food Central) – along with friend Thomas Skurray, and Anastasia (Tempting Palates) tried to race around the city, checking out some seriously beautiful and well-kept secrets around Adelaide. Teamwork is crucial for success in this race, and luckily, we gelled perfectly as a team, with the social media wizard, the foodie, and the brains scoring as many points as we possibly could to successfully get the whole experience out of this fun-filled race. While we may have not won 1st place in the race, we still garnered so much, in terms of knowledge around local businesses, what local produce is used in making their signature dishes, and concurrently getting fuel in the form of tasty nibbles and water bottles to help us keep going in the race. We not only had the opportunity to learn about the different businesses around the CBD that support local produce and use these ingredients in creating delicious dishes, such as the Gnocchi Amatricana from Rigoni’s Bistro, but we also helped in contributing towards feeding those attending the St. Lukes Anglican Church processions by collectively chopping vegetables and bunching herbs together. There is a sense of belonging in the community that we all felt that OTR and their proud partners did a fantastic job of helping us feel welcome, included, and appreciated for our efforts. The Great Food Rescue Race aims to “rescue and deliver surplus food, raise awareness about food waste and food insecurity” and has currently worked to raise over $72,000 in funds, which will be able to provide more than 10,000 meals to local charities in South Australia. While we take the time to recover from this huge event, it is something that you should consider participating in next year, especially if it means that you’d be making a difference in people’s lives through the production, creation, and delivery of healthy, nutritious food courtesy of OTR and their proud partners. Just an FYI! OTR was the major sponsor for this year (not Santos) they just provide the marquee I believe! 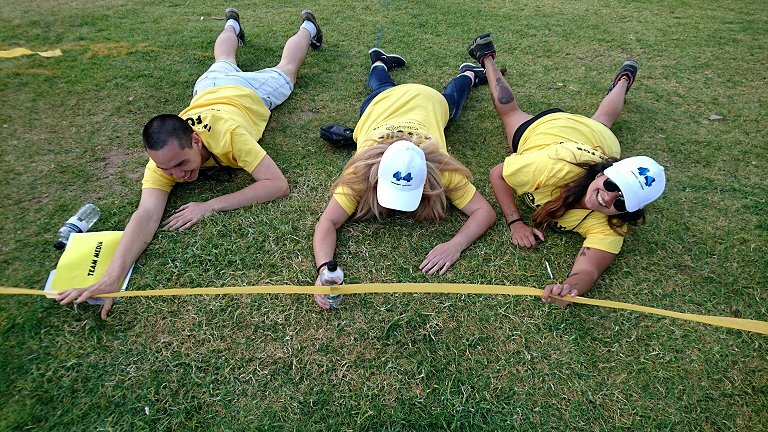 OTR teams raised a whopping $22k! So fab!